In a triangle the following are always true: The longest side is opposite the largest angle. Length AB = 4, is the longest side, and has the largest opposite angle C = 89.97° The shortest side is opposite the smallest angle. 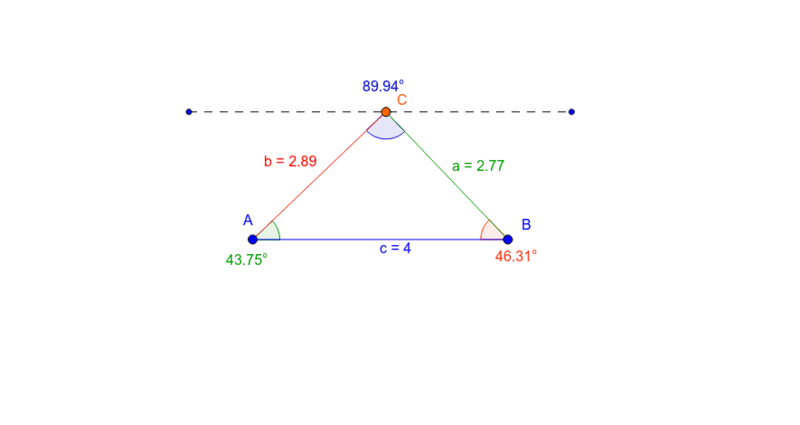 Length AC = 2.78, is the shortest side and has the smallest opposite angle C = 44.02° Sides with same length are opposite angles with same sizes.